This article explains practical application of SQL queries with examples. 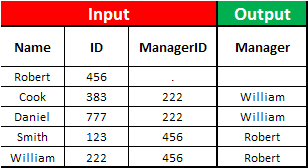 The input data is shown below. Suppose you are asked to calculate the number of Ys and Ns of column Z by column X. 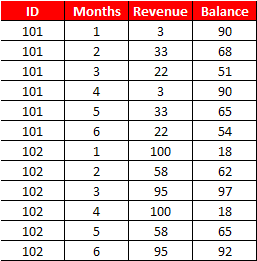 Task : Calculate total revenue and total balance accumulated in the first 3 months and how much the data spreads in the first 3 months time period. Suppose you have data for employees. It comprises of employees' name, ID and manager ID. You need to find out manager name. Suppose you need to cap values of a column. First cap values of column z and then sum all the z values by column y. 1. ANY operator selects values that pass the comparison test with any of the values that are returned by the sub-query. 2. ALL operator selects values that pass the comparison test with all of the values that are returned by the sub-query. 3 Responses to "Intermediate Proc SQL Tutorial"
hello , in code 2 , what does revenue else . end means ? Also i am unable to download detaled code file , as it is password protected .can you please share the password.